Ogden • Investigation indicates toddler was beaten to death; first-degree felony charges filed. Prosecutors allege an Ogden couple charged Tuesday in the death of their toddler beat the young girl to death, then covered her in makeup to hide the injuries before calling police. Miller Costello, 25, and Brenda Emile, 22, were charged in 2nd District Court with aggravated murder, a first-degree felony that carries the potential of the death penalty. Police were called to the couple&apos;s home last Thursday on a report of a child that was unconscious and not breathing, according to a probable cause statement filed in court. When they arrived, they found a deceased 3-year-old girl who was cold to the touch and stiff. Officers noted that the young girl appeared to have "bruising, contusions, lacerations, burns, open sores and abrasions all over her face, hands, legs, head and neck," according to the statement. The girl, Angelina Costello, was also covered in a thin layer of makeup, according to charges, which Emile allegedly later admitted to applying to conceal injuries "so they didn&apos;t look so bad." The child also appeared to be malnourished, according to the charging documents, and police later found a video on one of the parent&apos;s cellphones showing the couple "taunting the child victim with food by presenting it to her and then removing it from her and disciplining her." It appeared as if some of Angelina&apos;s injuries were recent and "acute," according to police, though others seemed older and in various stages of healing. Miller Costello said in a police interview that he knew of the child&apos;s deteriorating health, according to charges, and knew that his partner had been withholding food. The man said he noticed new injuries on his daughter when he came home from work, and Emile told him she had been struck by her siblings. "Brenda told Miller that she did not want to get medical attention for the child victim because she did not want a police investigation or to have her children taken from her," according to charging documents. Emile was the primary caretaker of the children at the home, charges state. After the couple&apos;s arrest last week, two other young children were removed from the home and placed in the care of the Utah Division of Child and Family Services. Prosecutors asked a judge to deny bail to the couple in part because Costello and Emile have "self-proclaimed ties to a transient Romanian gypsy community," according to the probable cause statement, and Costello made a good income as a scrap metal buyer. 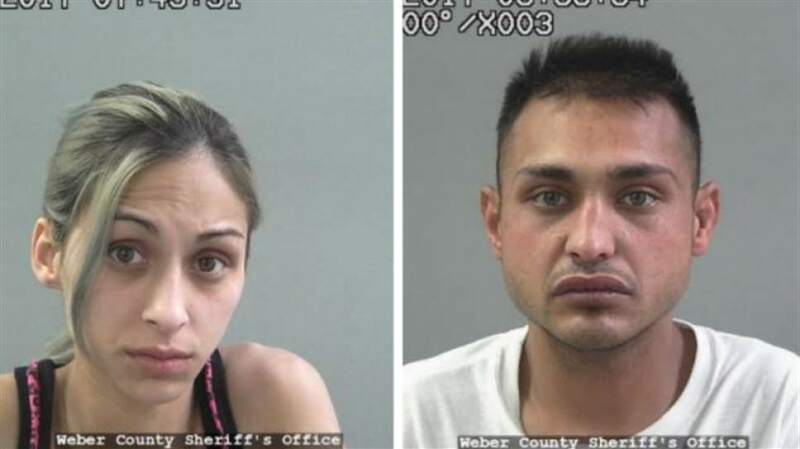 The couple are being held in the Weber County jail without the opportunity to post bail.